It’s a funny thing, Canberra’s retail ‘cringe’. The news of Jamie’s Italian opening in the Canberra Centre – among outlets such as Supre, Aldi and Roger David – got fingers-a-tweeting late yesterday afternoon. But, really…why? So, it is finally coming. There were murmurings some twelve months ago that an outlet was on the cards, but the franchisees had undertaken they were more interested in ensuring an adequate venue with access to Bunda Street could be found. Little wonder then, that the site chosen ended up being the operators own – Kingsley’s Steakhouse. That’s right – the rights to Jamie’s Italian in Australia are largely owned by the Pacific Restaurant Group based in Sydney, who also own and operate Kingsley’s outlets across Australia. Perhaps it got to the point where a refit and a change of name was the most appropriate course of action, rather than waiting for something on Bunda Street to open up? The fact this is an in-name-only representation of Jamie Oliver inspired such rose-petals-and-red-carpet fervour given to a bloke who hasn’t been in Canberra long enough to complain about the planning laws that will invariably delay the franchisee is, well… odd. Perhaps these are the same folk that roll their eyes when Soc Kochinos & Co reveal another locally built, multi-million dollar, pleasure palace. 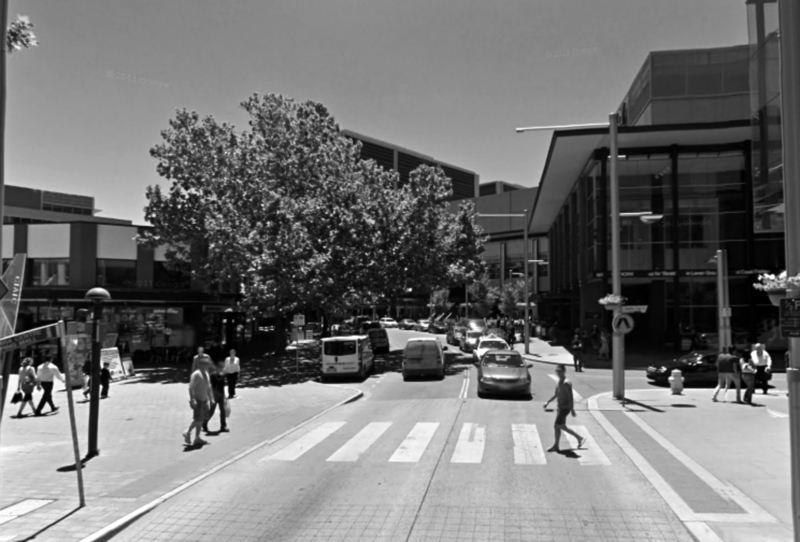 For regular readers, our rant is an obvious one: there are plenty of small, independent and creative businesses out there plying their trade in order to offer diversity and dynamic options in Canberra. In a year where we are taking (a lot of) time to celebrate the city and what it has become the cookie-cutter approach does little to enhance a city’s reputation; rather it offers the homogenised convenience of stopping for Macca’s on a trip to Sydney. Give us Italian and Sons, La Cantina or Mezzalira any day – why wouldn’t you want to enjoy a good meal once for the price of three sessions of mediocrity? Oh, you want quick, convenient and delicious pasta? Canberra’s got that covered too. Here’s a thought: Throw Jamie’s Kitchen in the food court with local heroes Zambrero and Ali Baba. That way we can see franchised ‘pukka-tukka’ is up to the same standard as what our own community can produce. In the meantime, those who hail the arrival of the 30 Minute Meal marvel’s titular restaurant, make sure you get out there and see what some of the local nonne e nonni can produce. We bet you’ll be impressed. We’re keen to know your favourite local Italian haunts, or perhaps why you welcome Jamie’s (or otherwise). Let us know below. What does it matter if it’s a Jamie’s Italian or a Kingsleys? I get that it’s good for your hipster credentials to denounce anything that isn’t “small, independent and creative” but welcoming big chains (like Zara, which seemingly didn’t bother you) to Canberra is part of the growth process. But in this case we’re just substituting one chain for another so who the @#$% cares? Jamie has just one ‘i’. If you’re writing about something or someone, at least get the spelling of the name correct. I love Jamie Oliver and don’t see why in a growing city like Canberra there can’t be room for the big guys and the little guys. The variety of choices is what makes cities like Sydney and Melbourne awesome and we should be encouraging that in Canberra too. I couldn’t care less if Jamie Oliver opens a restaurant in Canberra. I agree with the writer – Canberra has so many local food heroes and that’s what makes me delighted about living here (and showing them off to out of town friends) Good luck Jamie, but I’ll be spending my $$$’s at Italian and Sons, Mocan Green Gout, Silo. Put him in the food court, it is a name only establishment, if you want good Italian go with the locals, Mezzalira, Italian & Son and keep Our $$$ in local pockets.